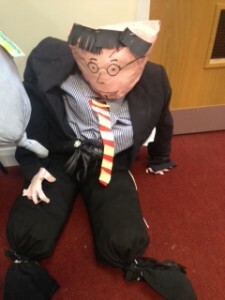 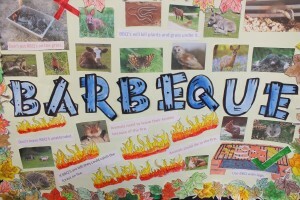 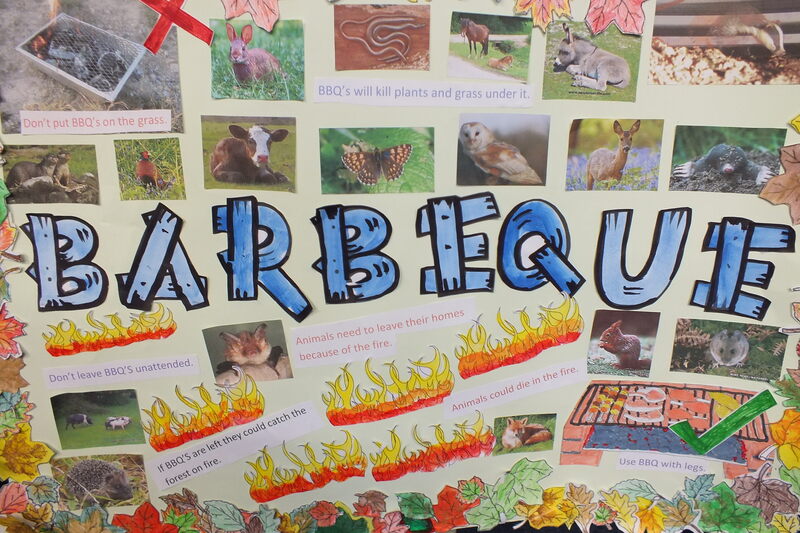 Wow, Miss Dickinson and Mrs Graham were in for a treat this week when Year 4 came in buzzing with their learning unit homework. 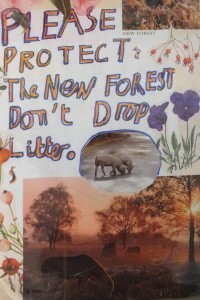 They were set the task of creating a campaign to minimise the effects of negative human impact in The New Forest. 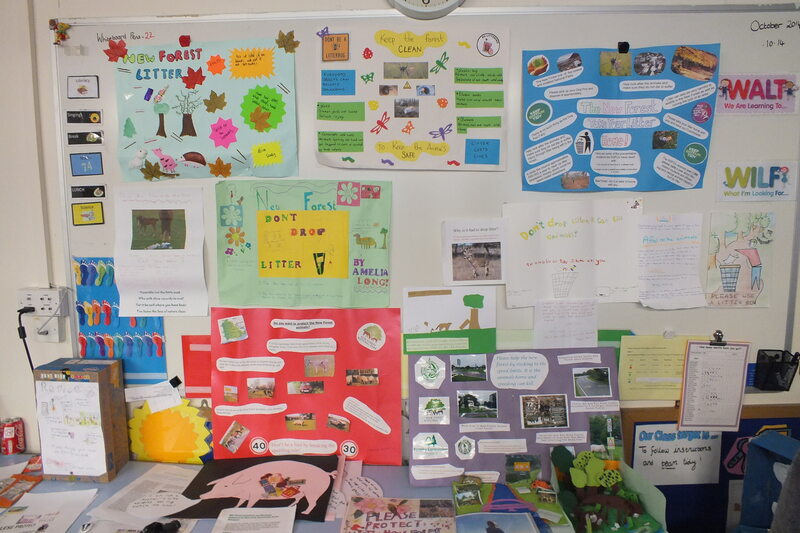 The children presented their campaigns confidently and we enjoyed seeing the effort as well as the wide range of presentations. We enjoyed PowerPoint’s, models of a not and then if we were to drop litter, posters (some even displayed in the forest), email communication to companies, litter picking membership clubs and even a letter with a reply from Councillor Desmond Swayne. 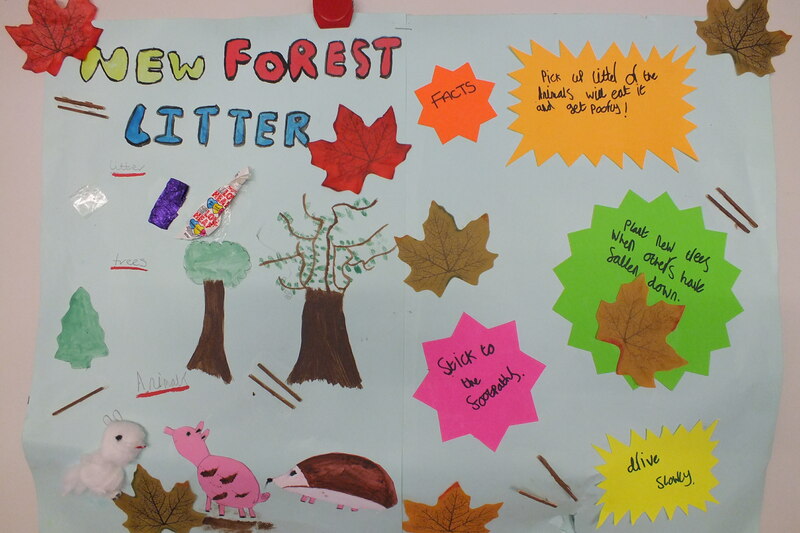 The quality and effort was so amazing we even invited the local press in to find out what we had been up to and what amazing New Forest citizens we can be – keep your eyes peeled for our story in the paper! 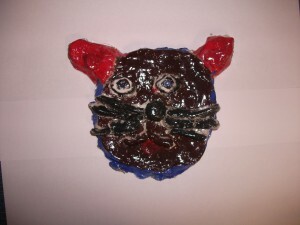 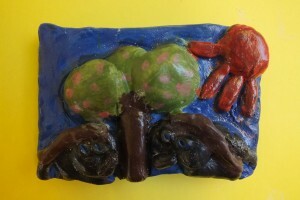 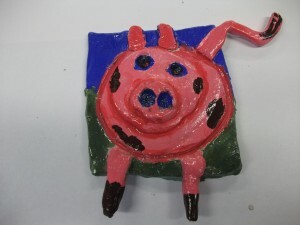 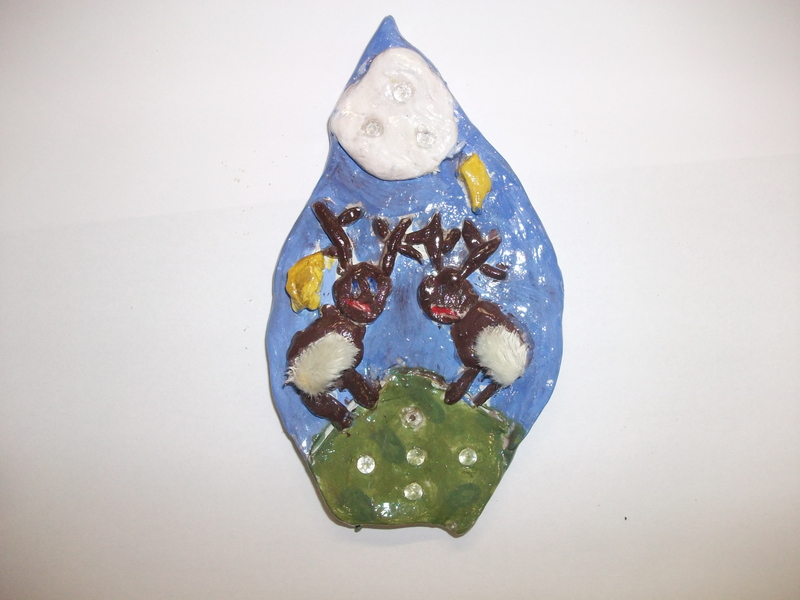 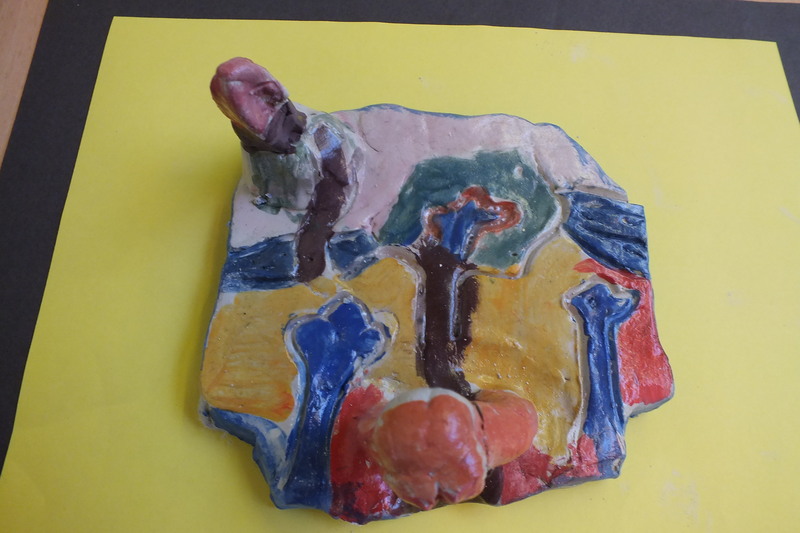 Year 4 have created wonderful clay tiles which show off their creative flair. 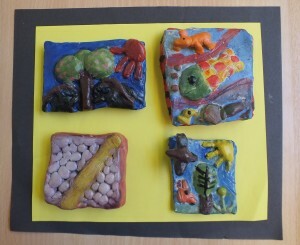 Each of their tiles were based on ‘Window’ by Jeannie Baker. 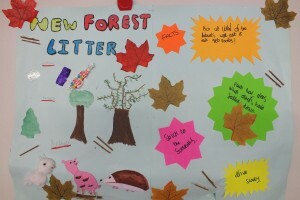 They were set the task of looking out of a window onto the New Forest and this is what they saw! 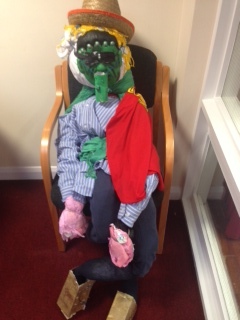 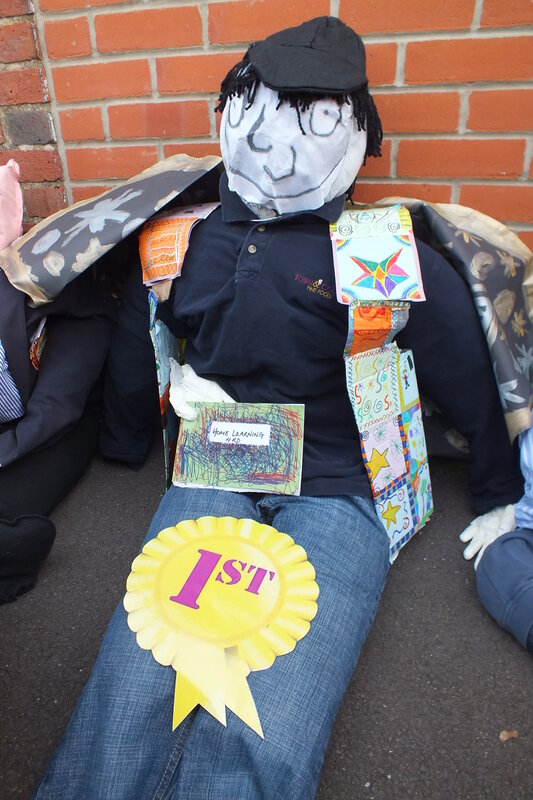 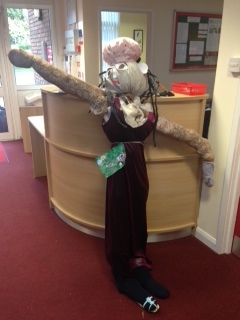 The winning guy is announced…..
4RD have created the winning guy. 2 children from the class were chosen at random to press the plunger to set off the fireworks at our grand event. 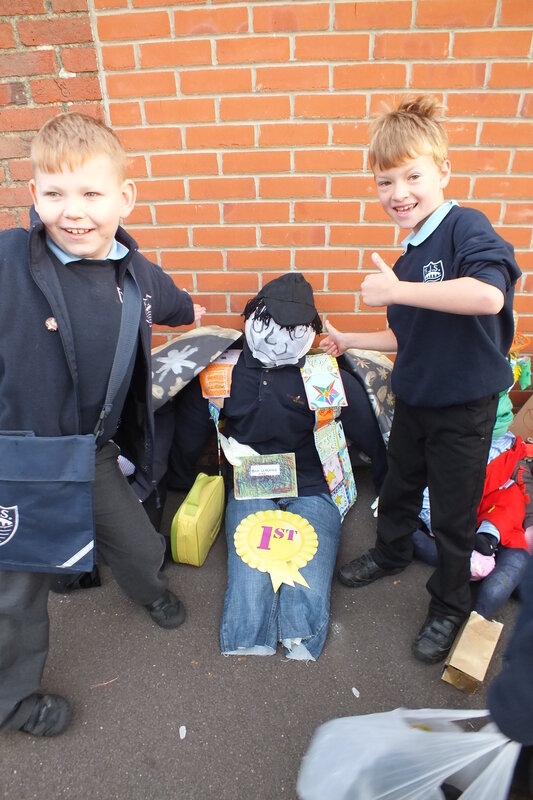 We all enjoyed celebrating with our friend! 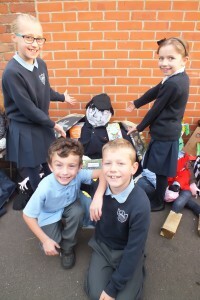 During this week children have been organising their donations to our Harvest celebrations at FJS. 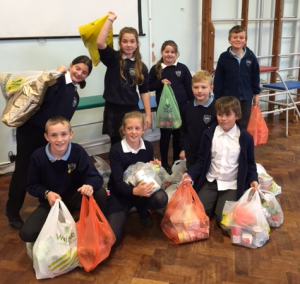 Mr Parsons from the Trussell Trust presented an assembly to the whole school and thanked them for their generous donations. The foodbank is now firmly established in South Wiltshire and was given the Queen’s Jubilee for service to the community in 2003. 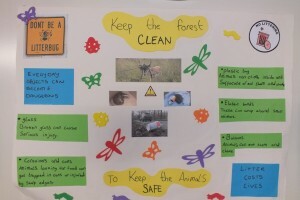 It was set up by The Trussell Trust (Registered Charity No 1110522), a Christian charity, and is committed to launching life changing, sustainable community based projects. The foodbank provides short term emergency food to people in crisis. Food is given as an intervention strategy which allows care professionals, such as Church Pastoral Workers, Health Visitors, Social Services etc, time to put longer term measures in place. Last year the foodbank distributed over 38 tonnes of food to 4,054 people, of which 1,563 were children. 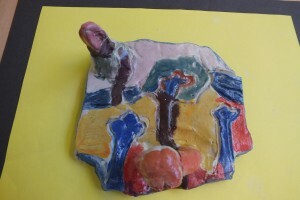 People are given enough food for at least 3 days. We would be delighted if the children could support this charity. 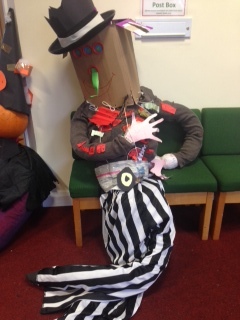 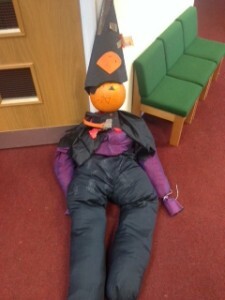 Every class was set the challenge to build the best Guy for our firework event. 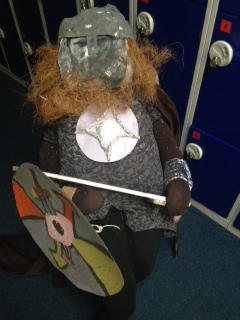 With the competition on each class set to work on their secret plans to construct their masterpieces! 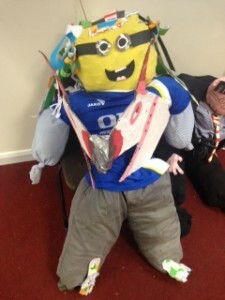 After much stuffing, creating and fun our creations were complete. I think you will agree they are all wonderful and all got their own style! 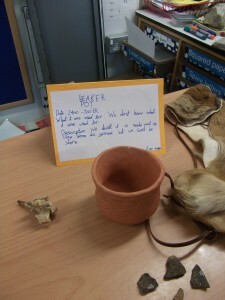 Year 3 have been lucky to have a special loans box full of prehistoric objects. We have been learning all about the objects that are left behind in the archaeological record which tell us about the people living in Britain over 2000 years ago. The objects, loaned by Wessex Archaeology, were a fantastic resource inspiring Year 3 to research and write labels for our class museum about the Stone and Bronze Ages. 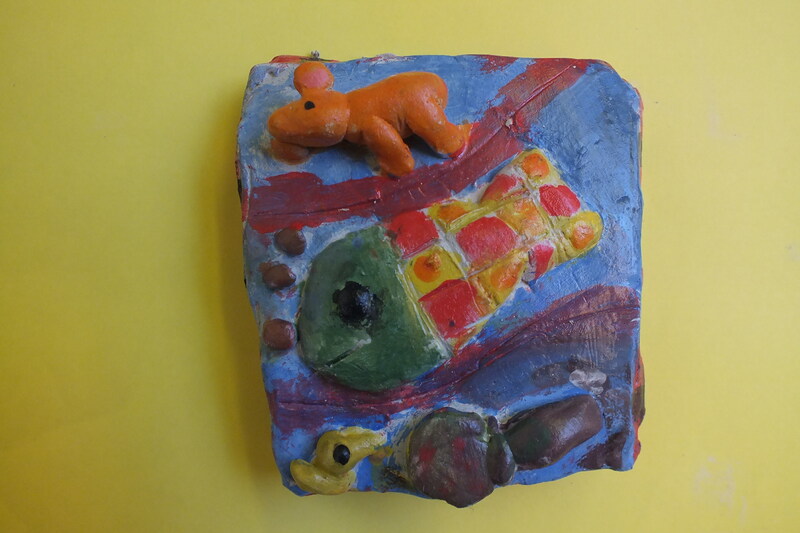 After a year discussion and vote, we decided to arrange the objects in our museum in chronological order. 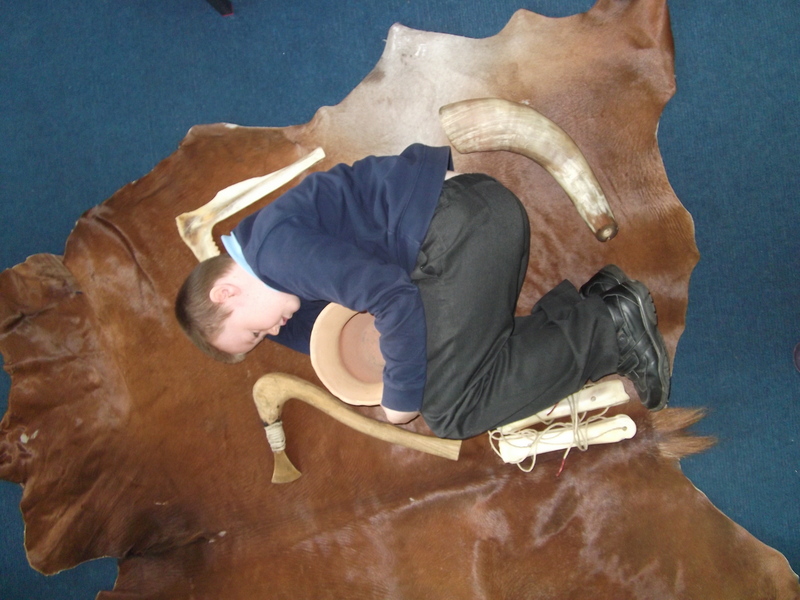 Starting with Palaeolithic (Old Stone Age) handaxes through to a lovely replica of a Bronze Age Beaker pot. Year 3 invited 5JH to come and visit our museum. 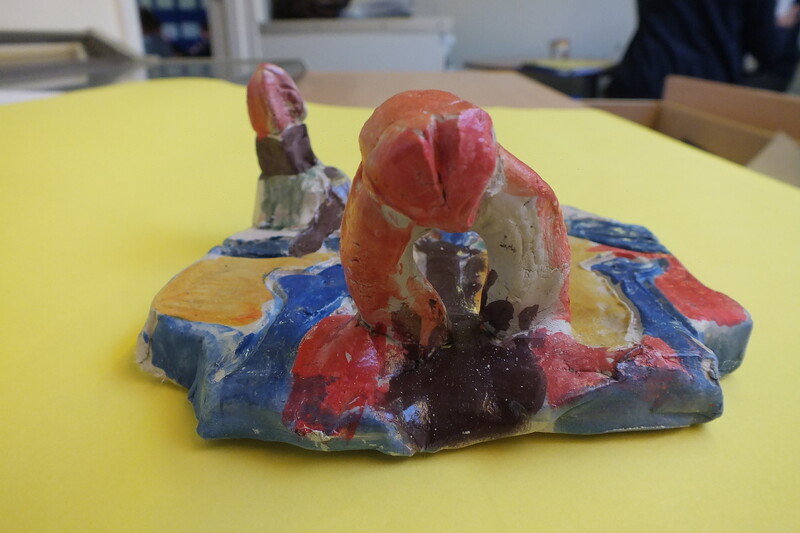 Our museum curators expertly explained how we had created the museum and showed them some of our favourite objects. Our professional curators even answered questions from Year 5, all whilst being dressed in prehistoric clothing! 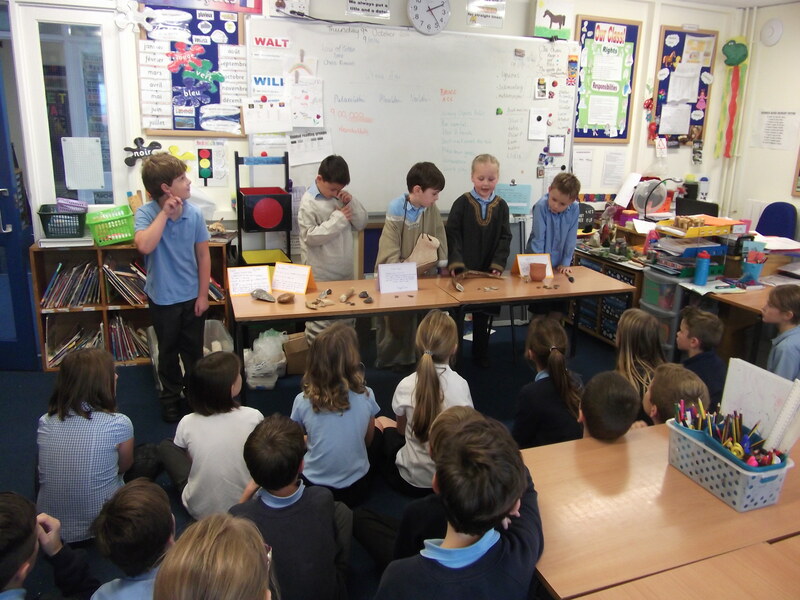 A big thank you to Wessex Archaeology for the loan of the box of historical goodies. 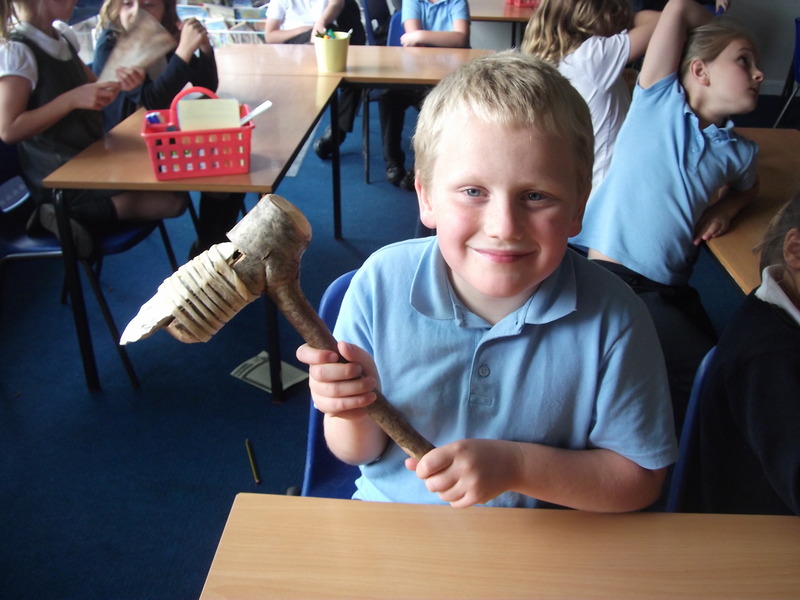 Year 3 welcomed Ryan, visiting all the way from the Bronze Age (via Butser Ancient Farm). 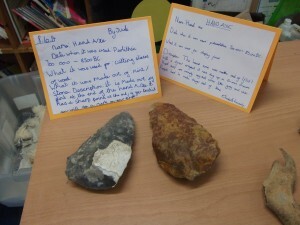 We were able to handle objects (both real and replica) that dated back nearly 5000 years. 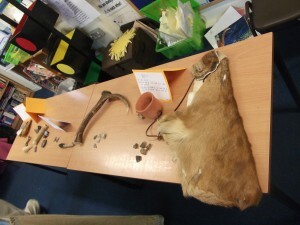 These included Bronze axes, flint axes, Beaker pots and a cattle shoulder blade shovel! 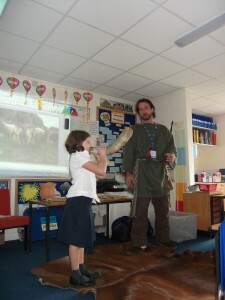 Amy even managed to get a fantastic sound from a cow horn (the Bronze Age equivalent of a trumpet!) Whilst Marley tested out some ancient cow toe ice skates. 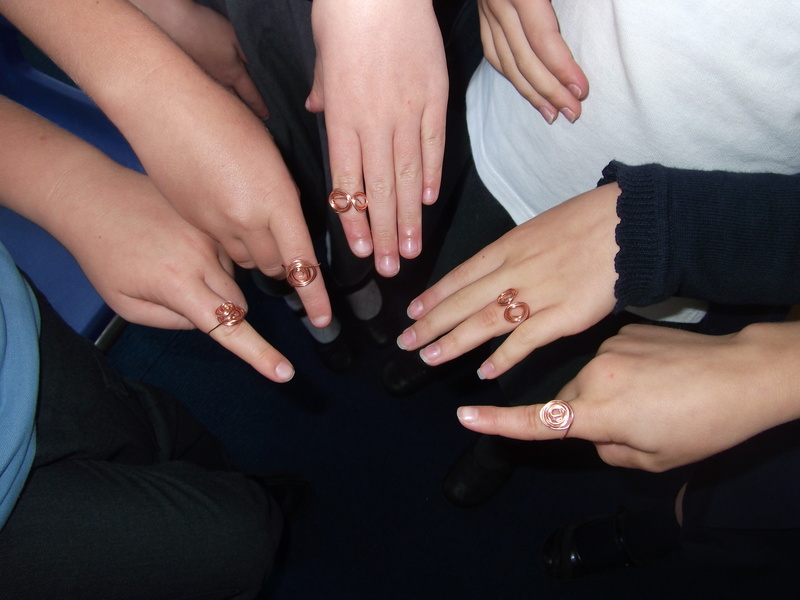 We had a go at making some bronze jewellery rings with great success. By twisting some copper wire using fingers and pliers we created some spiral masterpieces that any Bronze Age person would be happy to wear. 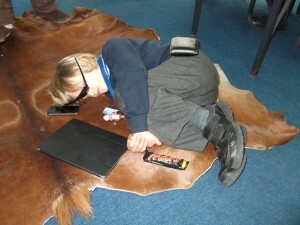 We also learnt about Bronze Age burials and their grave goods. Recreating a grave, we looked at the reasons behind each object placed with the body and compared Bronze Age objects with their modern equivalents. We also welcomed Owain from Salisbury Museum to Year 3. 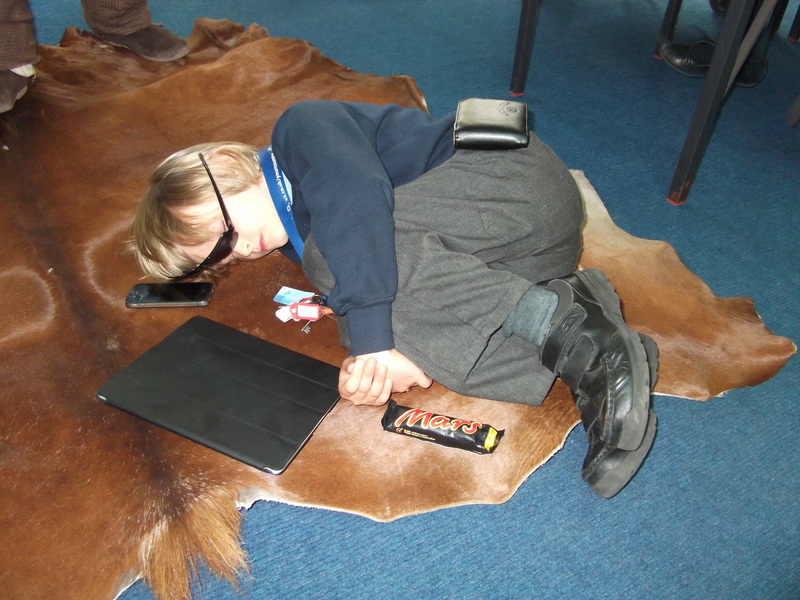 By this point we were able to identify many of the artefacts he brought along, although there were still some new ones to learn about. 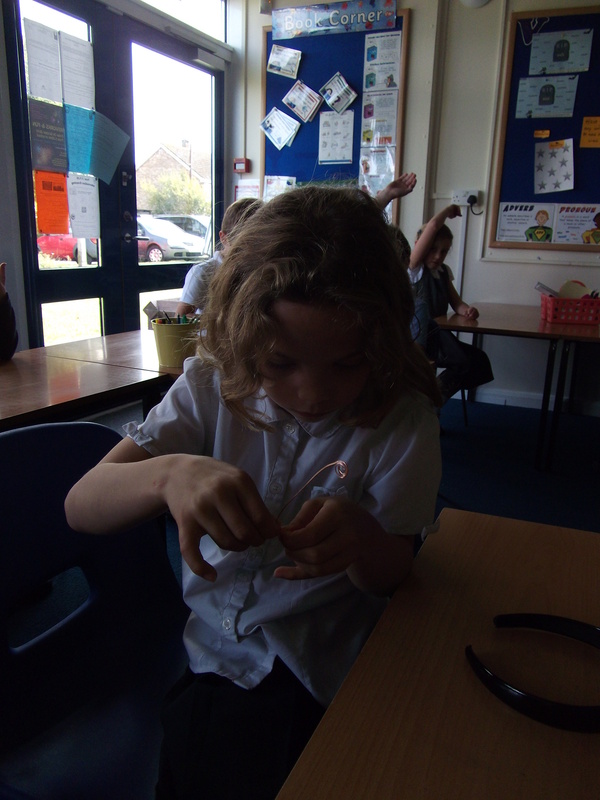 We learnt how archaeologists investigate the past and by digging trenches. Then we each got an artefact to explore and write a report about including a special hammerstone from Stonehenge.